The Philippines’ leading manufacturer and marketer of precast and pre-stressed concrete joists. A pre cast, pre stressed concrete product used for floor and roof slab system. It is a concrete product with 5,500 psi. and with a pre-tensioned tendons as its reinforcements. It is basically a concrete joist which supports a suspended flooring and form part as a slab system. An alternative method of slab construction such as the conventional or the traditional concrete slab pouring. A precast, prestressed concrete product used for floor and roof slab system. It is a concrete product with 5,500 psi. and with a pre-tensioned tendons as its reinforcements. It is basically a concrete joist which supports a suspended flooring and form part as a slab system. An alternative method of slab construction such as the conventional or the traditional concrete slab pouring. Type 101 uses 2 sets of pre-stressed concrete wire stands. Used for short to long spans with light loads. 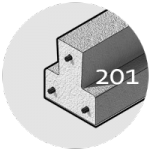 Type 201 uses 3 sets of pre-stressed concrete wire strands. Used for mid to longer spans with heavier loads. 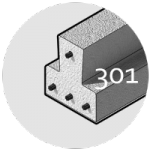 Type 301 uses 4 sets of pre-stressed concrete wire strands. 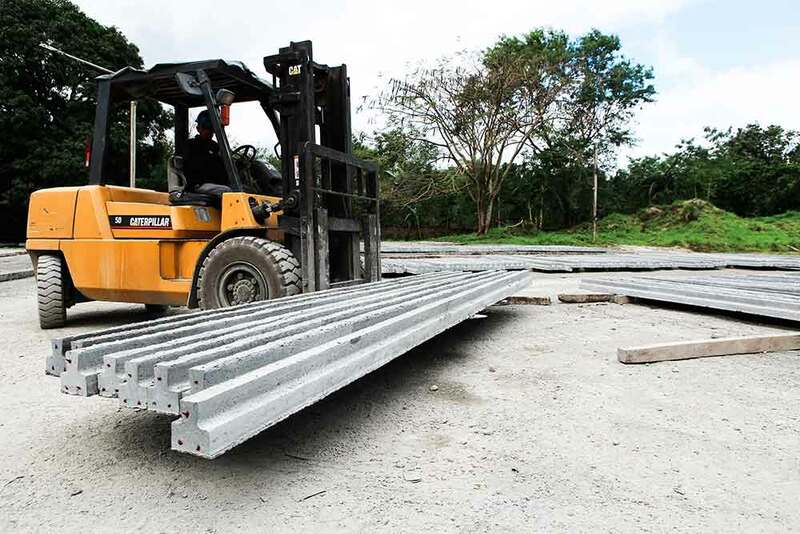 Used for up to 6-6.5 meters with heavy loads. Our representative can be contacted at the schematic stage for value engineering support to assure results, which will be the most cost-effective site-cast alternative for our customer’s project. We provide support by using the most efficient construction techniques to build our customer’s project on time and within budget. It provides field labor for erection and removal of forms and supporting materials – a complete forming package customized for their project. 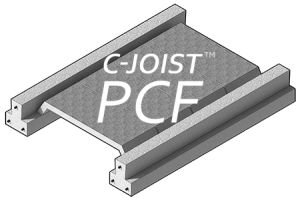 What are the benefits of using C-joist? Aside from it speeding up the construction of the project it saves on cost (long-term cost) for it eliminates the use of formworks and scaffoldings. What is your manufacturing capacity? Our plant in Malvar, Batangas can produce up to 50,000 Linear meters in a month. 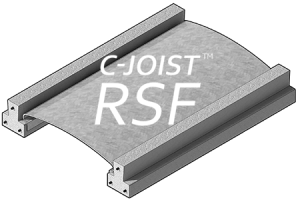 C-Joist is not earthquake-proof but it sways along with the movement of the ground and does not go against it avoiding further destruction. © 2017 Concrete Ventures Group, Inc.